An interesting side-note to last fall's municipal election in St. John's, by way of the unusually-hard-to-find municipal campaign finance disclosures, released on January 21st. In the mayoral race, the winner in votes wasn't the winner in campaign contributions. Incumbent and winner, Dennis O'Keefe, raised less than $60,000. Runner-up Sheilagh O'Leary raked in over $90,000. The sources of their respective campaign contributions are strikingly different. The St. John's municipal campaign finance rules require disclosures of all contributions from individuals or businesses of over $250. That is, small individual contributions of under $250 fall under the disclosure threshold, though the aggregate amount of such contributions must be disclosed. 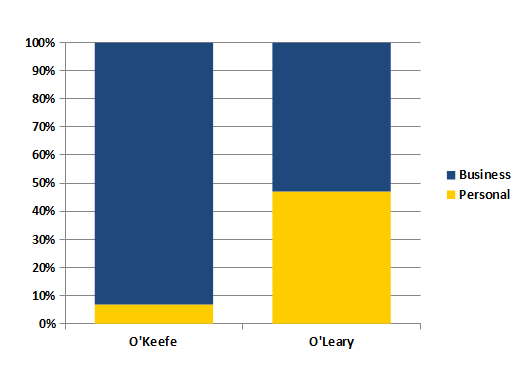 O'Leary collected more in such small campaign donations than O'Keefe collected from all sources combined. 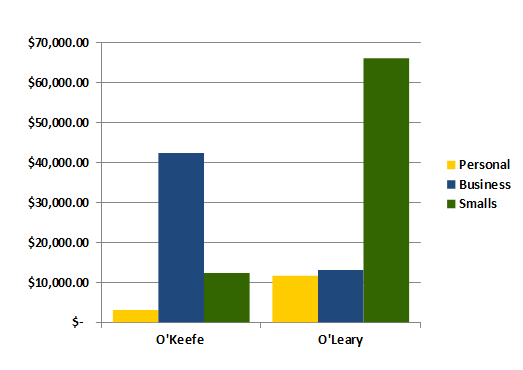 O'Keefe's campaign was financed mostly by larger contributions from businesses and corporations. And, restricting ourselves to the reportable contributions, over 90% of O'Keefe's reportables came from business donors. 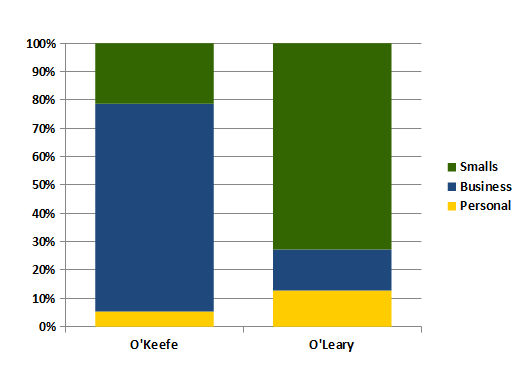 O'Leary's reportable contributions were split almost evenly between businesses and donations from named private individuals.